North of the wharf and motel the shore runs north before heading east to the old cannery and its wharf. While you will not make it all the way to the cannery wharf, there is a very interesting dive in the area between. Once at the bottom of the main slope at 25 metres (it continues to get deeper very gradually), turn left and follow at this depth as you head roughly north-west. Have a look back at the coral heads so that you can identify where to turn on the return trip. The slope heads roughly straight north-west. 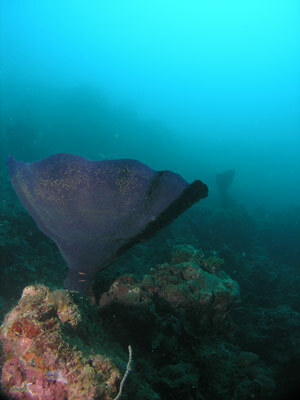 As you go, you will see that the funnel sponges are quite varied in size. Some are small, but the majority are very large, with some quite enormous. These are the biggest ones I have ever seen. As you move further along you will start coming across some junk. There are bits of metal all over the place, with some drums. However, there is not a huge amount of junk. You will also see bannerfish, Moorish idols and various triggerfish along here. There were a number of titan triggerfish. One of these followed us for a while but luckily it was not mating season so we did not get attacked. Soon the slope turns to the east. It starts to get deeper here and you can easily get to 30 metres if you wanted to. However, by now you have probably been in the water for about 20 minutes so it would not be wise to go deeper. In the area near the corner there are a number of anemones. Some of these have clown anemonefish in them. 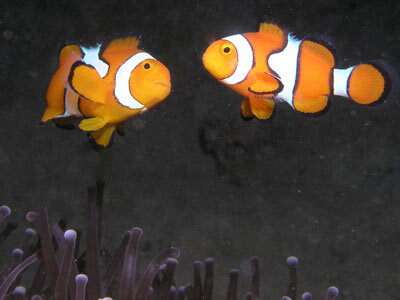 These are the classic "Nemo" clownfish and are very photogenic. Some have other species of clownfish. Many of the anemones have tiny transparent glass shrimp living in them. 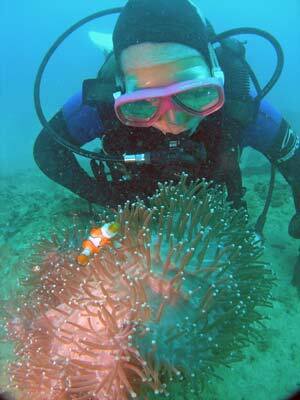 Check every anemone carefully, they can be very hard to see. Once you find one, keep an eye on it as they can move quickly and then be hard to find again. 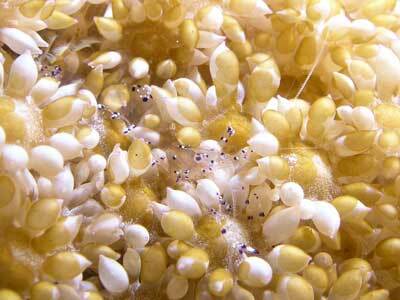 There are some other fixed marine life that also have glass shrimp living on them. Just past here it will be time to turn around. Go a bit shallower and backtrack back towards the wharf. Towards the top of the slop there are more anemones and also lots of beer cans in spots. Some of these have interesting gobies resident in them. 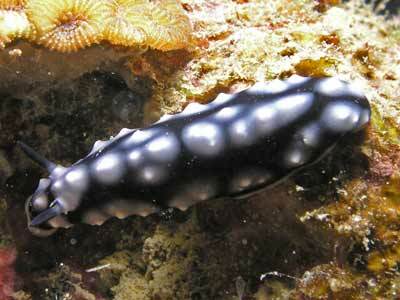 There are also a few different nudibranchs on this dive, quite beautiful. When you get back to the exit site, turn right and head across the shallows. 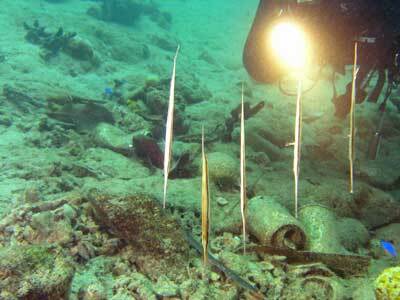 In this area you will probably see a school of razorfish. These strange looking fish are shaped like a razor knife and swim with their heads down and tails up but move forward in the direction of their spin. We actually saw a couple of schools of them on another dive in this area, but while doing this dive we saw six. After about 60 or so minutes you will be back at the wharf. Exit out the steps.